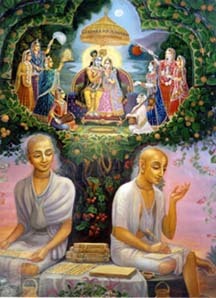 On this page you can read on line, or download many books written wrom previous and contemporary vaishnava saints, most in line coming from Gaudiya-Vaishnava-sampradaya. This library is founded solely for inspiration and satisfaction of all devotees. More books will be added later.Come again to check out!